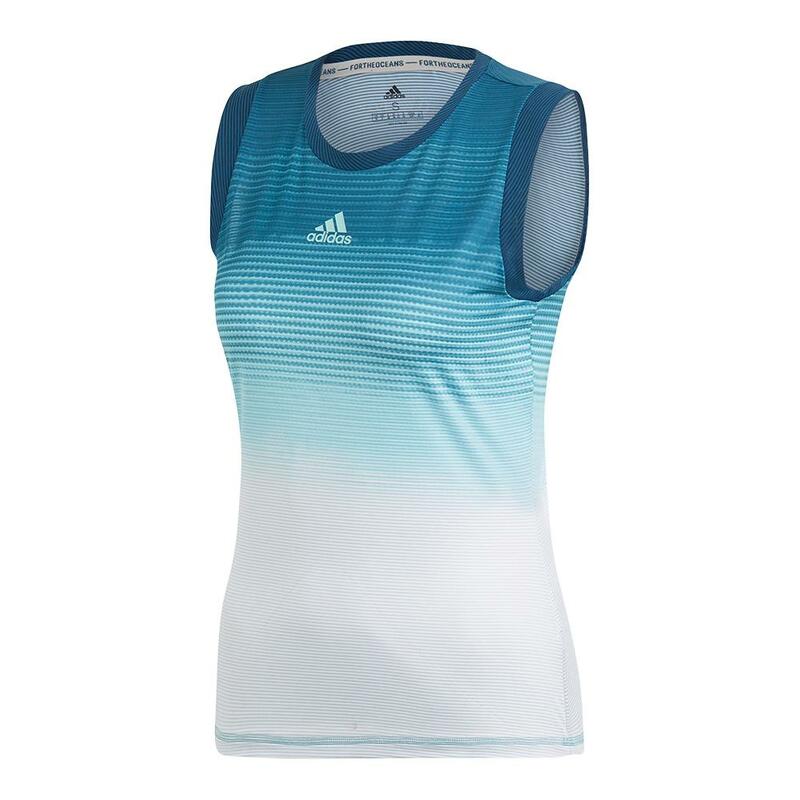 Play like a pro in the adidas Women's Parley Tennis Tank in Blue Spirit and White. 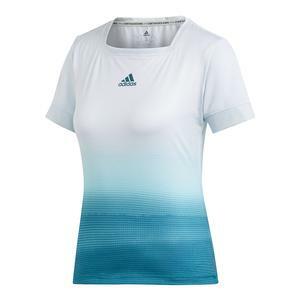 Angie Kerber and Caroline Wozniacki's outfit for the 2019 Australian Open, this tank is made with recycled plastic intercepted from coastal communities and beaches. 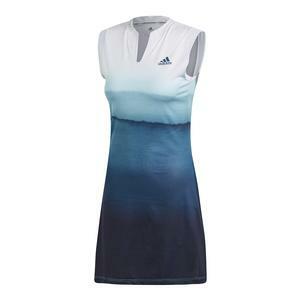 The beautiful graphic celebrates the depth of the ocean and makes for a creative design. 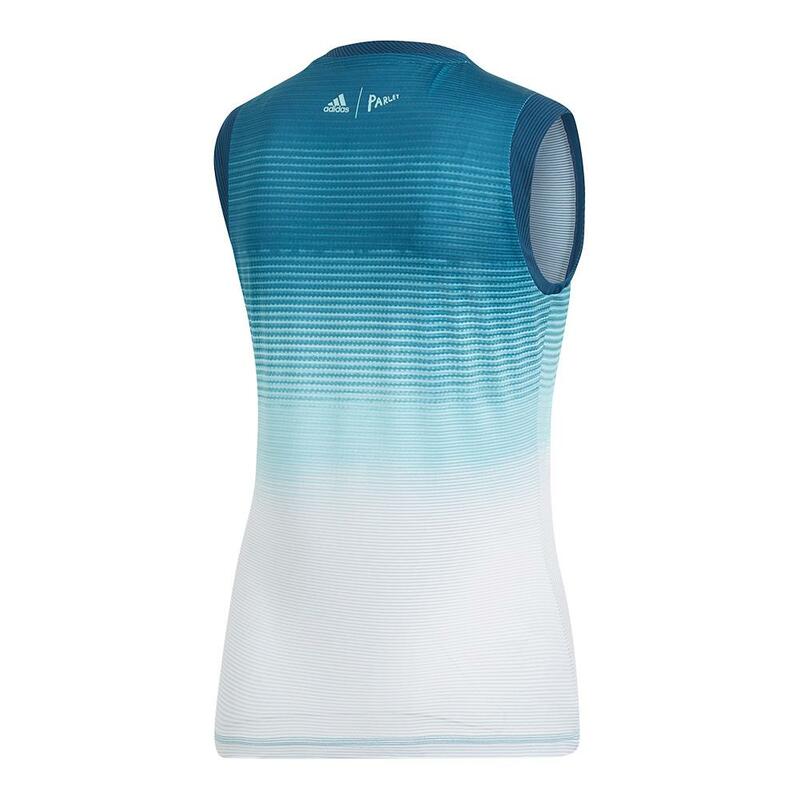 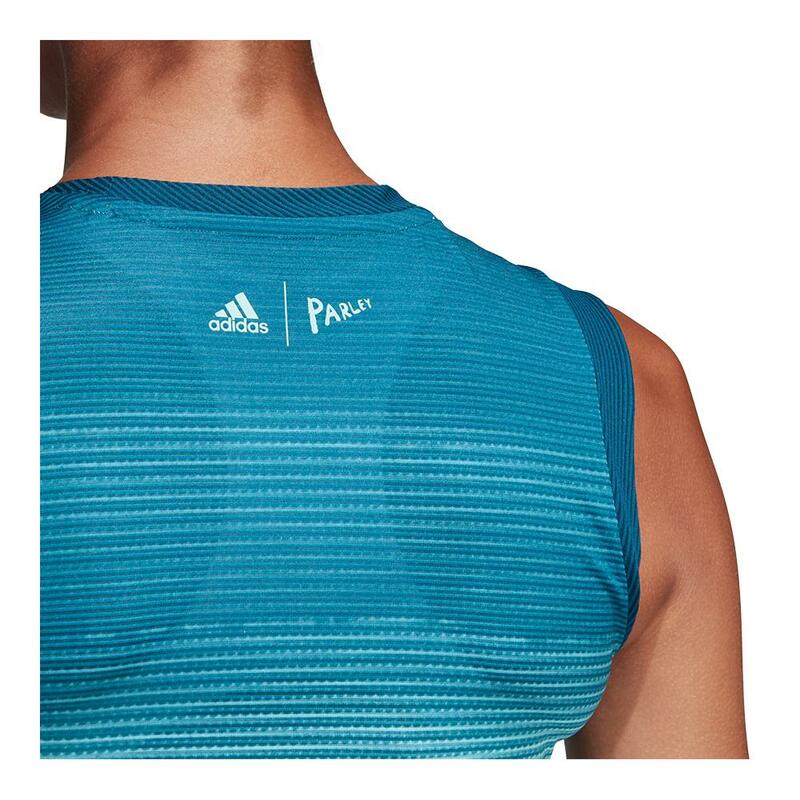 The tank features 3D construction on the inside so it doesn't cling to your body, while the sweat-wicking Climalite fabric keeps you cool and dry. 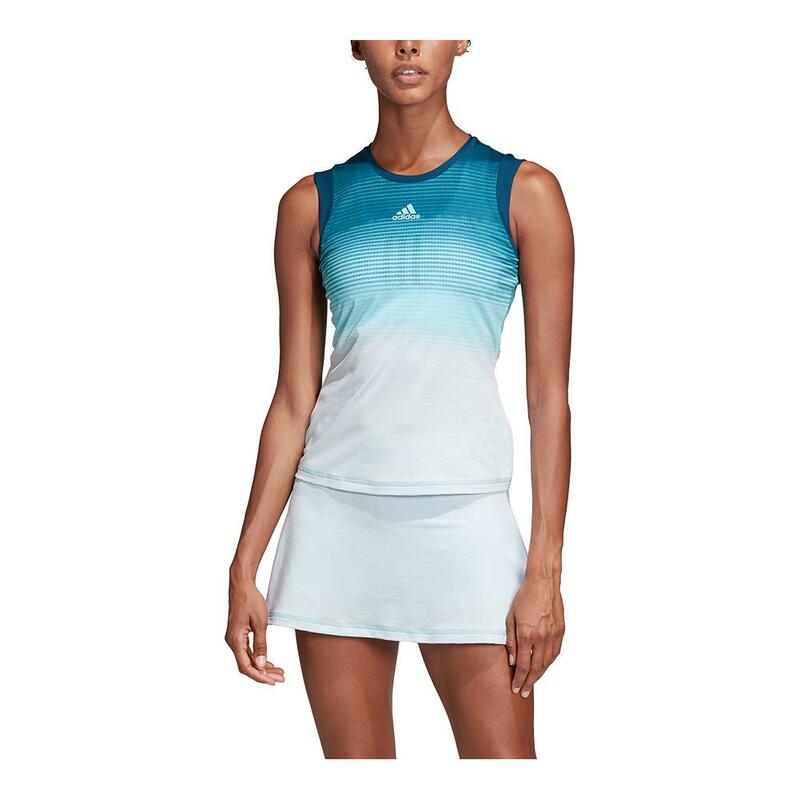 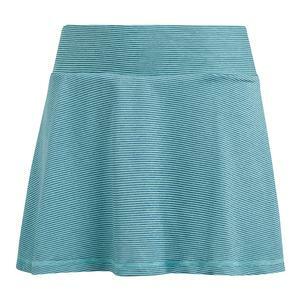 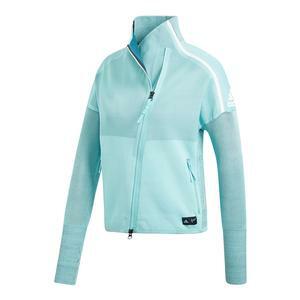 Pair this with the adidas Women's Parley Tennis Skirt to complete your outfit!